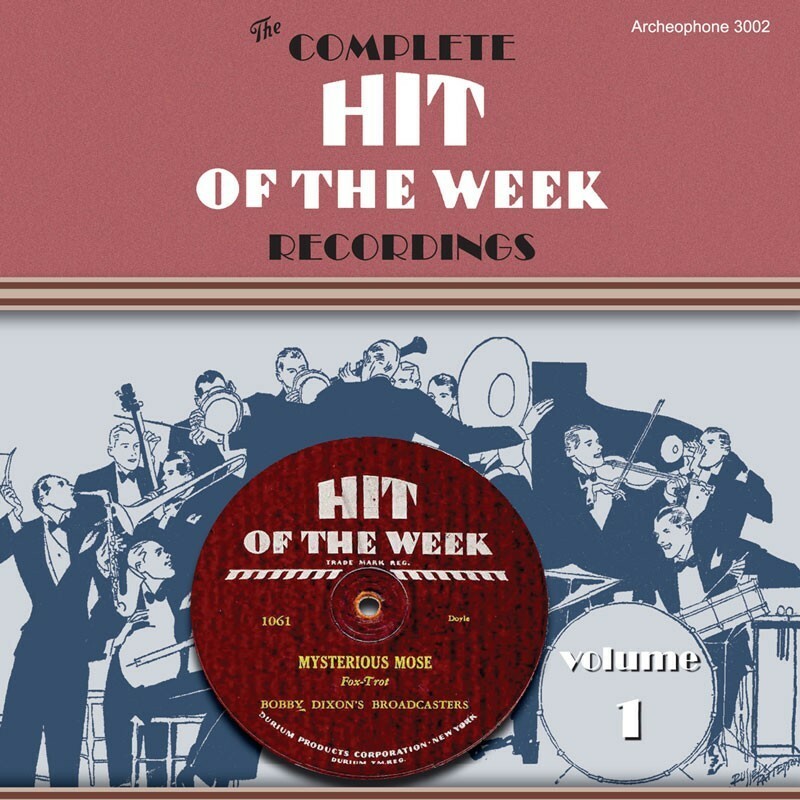 The first double-CD set in an eventual four-volume series featuring all regular weekly issues of these cardboard records that were the best-selling records during the Depression, along with several advertising and uncommonly scarce promotional records from the Durium Company. The biggest names in 1930s music are here: Ben Pollack, Phil Spitalney, Vincent Lopez, and Duke Ellington, playing as "The Harlem Hot Chocolates." Top vocalists include Smith Ballew, Irving Kaufman, and Scrappy Lambert. More than two hours of music and a very informative 24-page booklet with notes by Doug Benson and Hit of the Week expert Hans Koert. Visit Hit of the Week, Volume 1's expanded catalogue page to see the complete track listing, read an extended description, and listen to sound samples.